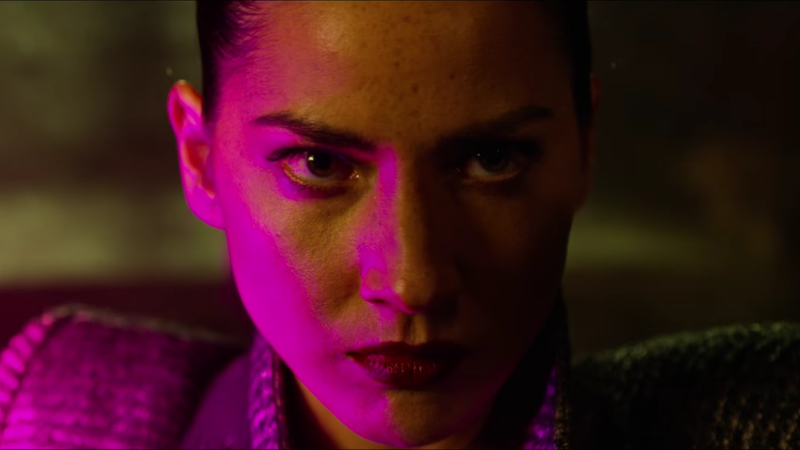 Olivia Munn will be Psylocke when X-Men: Apocalypse comes out later this month, but she was nearly a completely different character in Fox’s comic-based movie universe: Deadpool’s girlfriend Vanessa. The role was eventually played by Morena Baccarin—because Munn basically said hell no. To be fair to Munn, that’s not an unfair assessment of the character of Vanessa in Deadpool. Every character and plot point of Deadpool is exactly what we’ve come to expect from origin stories. It’s a very basic framework that exists in order to hang jokes on. The credits sequence makes that clear from the very beginning. On the page, Munn is absolutely right about the character. Psylocke being powerful and fighting is a positive, yes. But being worried about your character talking too much? That’s an unusual complaint for an actor. If nothing else, this is a hint that what we’ve seen of Psylocke in the trailers—fighting, fighting, and more fighting—is all we’re going to get of her.